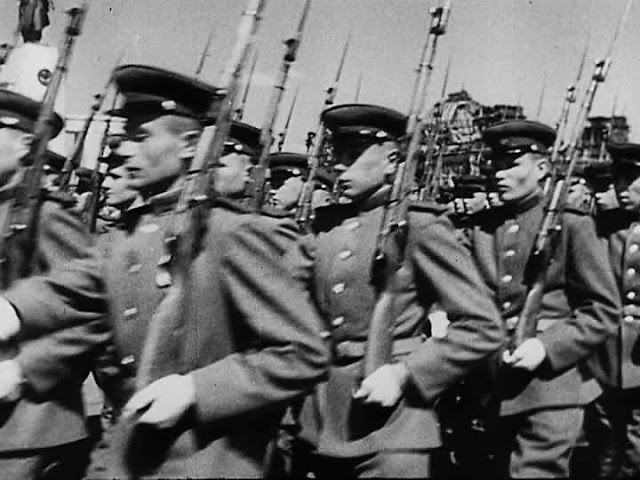 More than a quarter of a million Russian troops are now being concentrated in northeastern Germany for the Red Army's biggest postwar maneuvers this spring. Soviet units are being brought from Austria and Poland, intelligence reports say, to participate in the spring exercises in which an estimated 270 to 300 thousand troops will be involved. 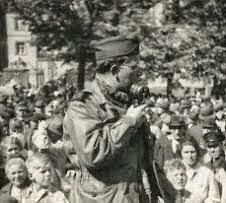 Yesterday the arrival of some four thousand troops and three hundred tanks was reported in the town of Bernau, just east of Berlin. Today Russian military authorities ordered that all persons in the northern province of Mecklenburg possessing maps of the area turn them over. An innovation of the Russian spring maneuvers is the employment of their Communist-controlled German police. An estimated twenty thousand armed "people's police" will be given the job of protecting the security of the maneuvers. The Germans will not be used in a combat capacity. Six army groups of some fifty thousand men each will form the order of battle. Authorities here say the troop concentrations are similar to the recent winter maneuvers held by American occupation forces in which the troops defended the Rhine against an "unnamed aggressor." Only fifteen thousand troops participated in this practice. The Russians are employing twenty times that number. However, the Russian maneuvers are of a defensive nature. The objective of their maneuvers is to defend the Elbe River line that cuts southeastward from Hamburg in the British zone through the center of the Soviet zone south of Berlin. The spring exercises are being watched here with interest. Blockaded Berliners have not lost their sense of humor despite the heat-less winter now ending. A new story concerns a little boy who brought his snowman into the house. His mother told him to take it outside. The child objected, saying: "If I take it outside, mother, it will melt." Another story is making the rounds concerning a geography class here. The teacher asks: "What is the name of an island in the Red Sea?" A bright young boy replies immediately: "Berlin?"